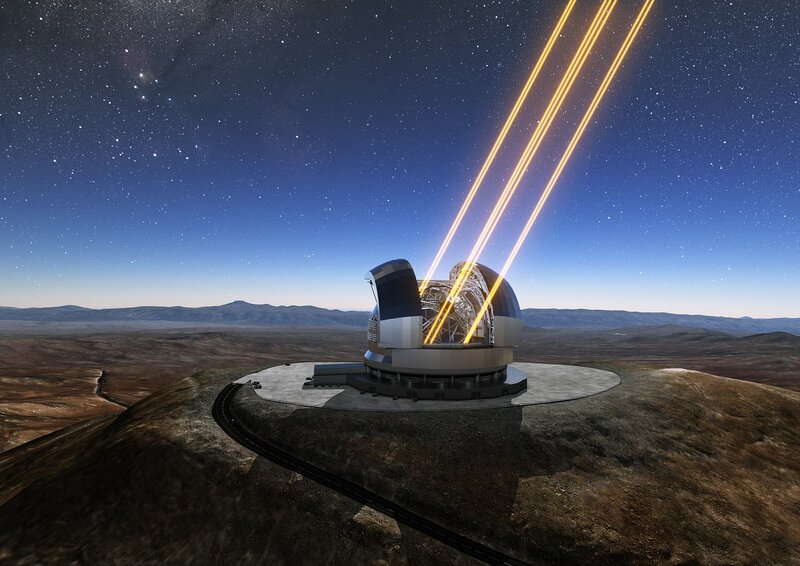 The laser system for the adaptive optics system on the ELT will be based on the Four Laser Guide Star Facility (4LGSF) on ESO’s Very Large Telescope (VLT). The Adaptive Optics Facility, which uses the 4LGSF, has already shown spectacular improvement in image sharpness on the VLT (eso1724). The TOPTICA/MPBC Guide Star Alliance was the main contractor for the laser system on the VLT (eso1613).